Convert PSD to JPEG in batches with ease! 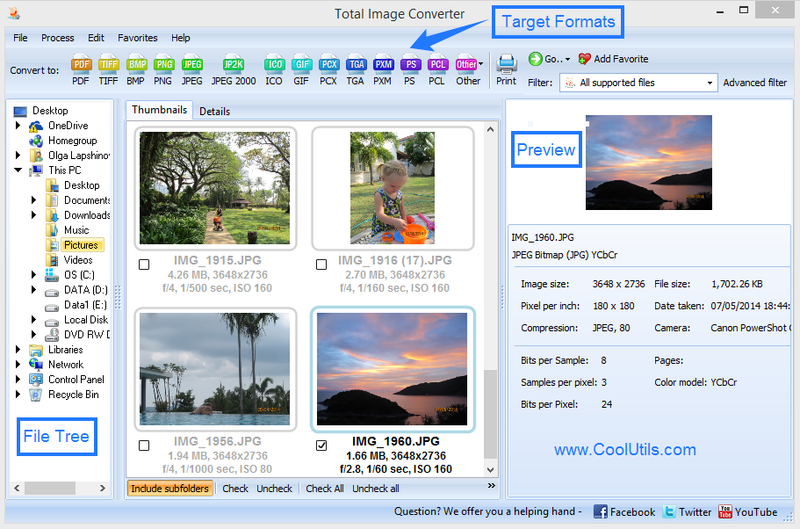 You are here: CoolUtils > Total Image Converter > Convert PSD to JPEG in batches with ease! 2000/NT/XP/2003/Vista/7 PSD (Photoshop Shop Document) is a raster image format that uses lossless compression algorithm. PSD files have a multi-layer structure and feature additional color channels and other information. This format is supported by Photoshop and some other utilities. PSD files contain nearly as many additional elements as TIFF files; therefore, they take up a lot of disk space. Again, because PSD files are very large in size, they are hard to transmit online. In order to make images transmittable, it is highly recommended to render them in more portable formats like JPEG. 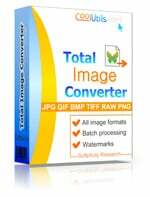 Total Image Converter is a compact and user-friendly PSD converter. 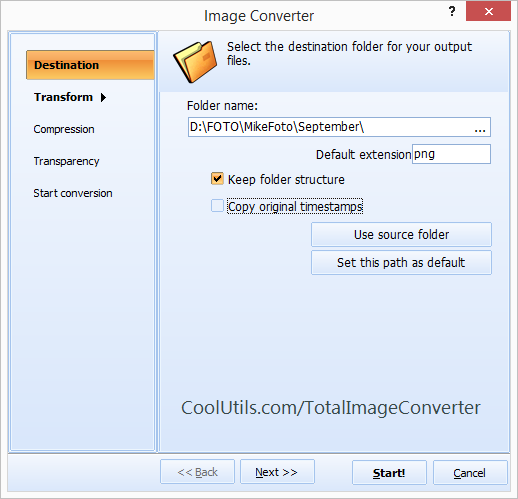 By aid of the batch mode function you can convert many PSD files to JPEG simultaneously. Truly, this is something very few converters can boast of! And here comes possibly the mootest question you would ever ask me: how do I convert PSD in batch? No great pain! It’s not even YOU converting the files, but the program itself. All you have to do is launch the tool, make your options and follow the Wizard’s recommendations. It does not take expert knowledge to operate the program. After just one or two uses, you will get the complete idea on how to convert PSD in batch! Select the folder with your PSD files and check as many files as you need to convert right now. To check all files, click Select All. The program features a built-in viewer, so you can preview images before conversion. 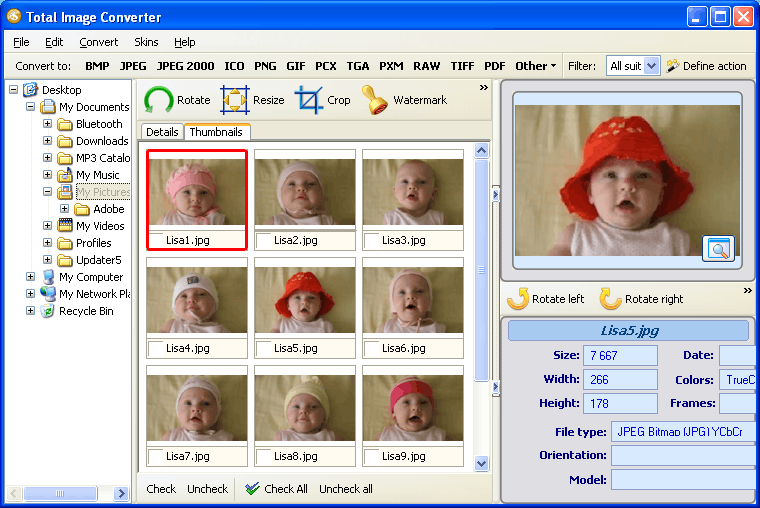 Besides, the tool enables you to crop, rotate and resize images according to your preferences. As you can see, this is the most advanced image conversion utility available today. The best thing about it is its low price. For only $24.90, you receive a broad array of functions and regular free upgrades. Besides, you can download the trial version and use it for 30 days. This is a great chance to see how the program works! Handle PSD to PCL in batches like a Pro!